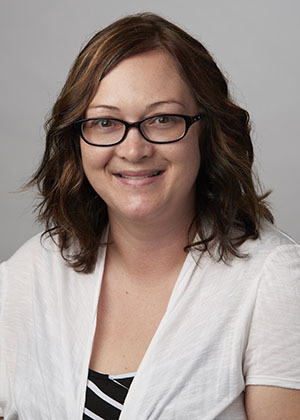 Brandy received her undergraduate degree in Communication Disorders and her master’s degree in Speech-Language Pathology both from Fontbonne University in St. Louis. During her last semester of graduate school she did a practicum at the Clinic and loved it. Upon graduation, she began working full time at the Clinic (2004) as a Speech-Language Pathologist and has been there ever since. Brandy loves working with young children and their families as well as supervising graduate students. Brandy is Hanen Certified in “It Takes Two to Talk,” as well as PROMPT trained. A fun fact about Brandy is that she enjoys living in the country and likes to go on scrapbooking weekends with her sisters several times a year.